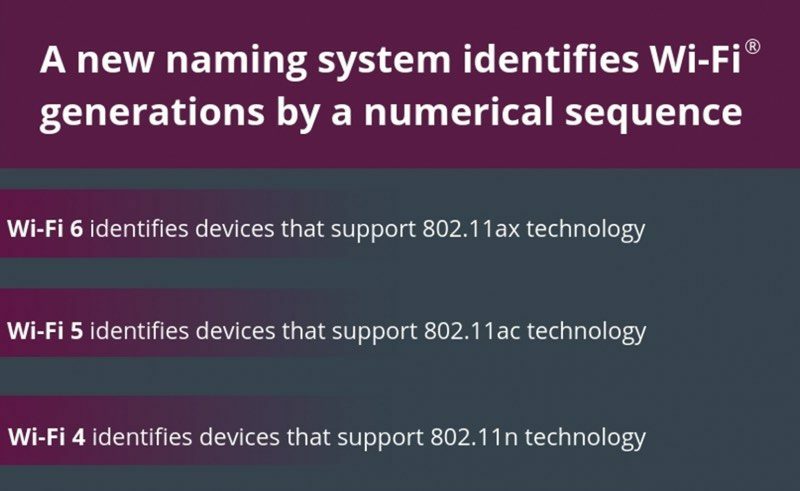 802.11ax will be known as "Wi-Fi 6," making it easier for Wi-Fi users to understand the difference between 802.11ax, 802.11ac, and 802.11n. With the launch of Wi-Fi 6, 802.11ac will be known as "Wi-Fi 5," while 802.11n will be known as "Wi-Fi 4." Wi-Fi 6 will introduce higher data rates, increased capacity, better performance in dense environments like concerts and sporting events, and improved power efficiency so Wi-Fi won't eat up as much battery on future devices. I support this wholeheartedly... Having to do tech support for family and friends is tedious with the technobabble. This just makes a lot of sense. Que all the questions of. Will my 802.11n device work with WiFi 5? What's better 802.11 ac or WiFi 5? This is "meh". All it does is create the false illusion that the higher number is better. It's not, in all cases. On a very basic level, a higher number is better, but for example, people would absolutely prefer WiFi4 over WiFi5 in a large house, as the 802.11ac signal strength is weak. If we are to believe that all future versions of WiFi - for example, WiFi7 - would both increase in signal strength, power, distance, speed, etc - then I'm all for this, otherwise it's the same problem we have now with a different name. With the way the 802.11 protocol has worked so far, this hasn't proven true, there are often revisions that focus more on speed or power, but rarely both. Of course they announce a new standard just weeks after I upgrade my home WiFi to Mesh. Oh well, I'm pretty happy with what I have. It will be years before everyone catches up. I’m dumping my time capsule for a current mesh system myself very soon. Why did it take until now for someone to figure this out? This is a way better naming convention.